Lightweight fashion gloves without protectors. 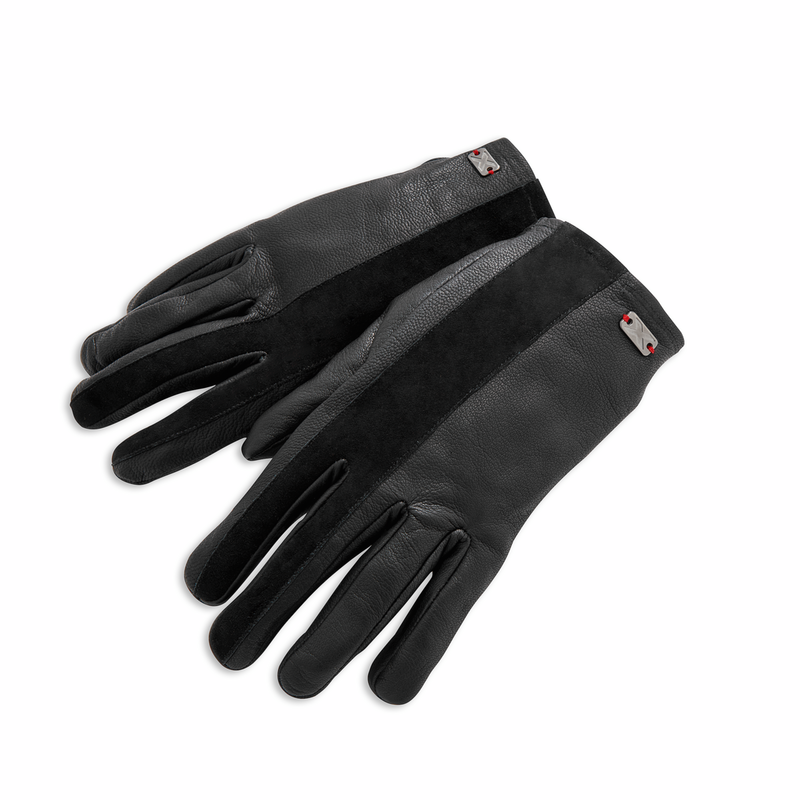 The extremely soft leather and stitch-free palm favor both a close fit and extreme comfort. The shiny/opaque contrast is guaranteed by the suede band while the metal tag stitched on with red thread highlights the attention to detail. 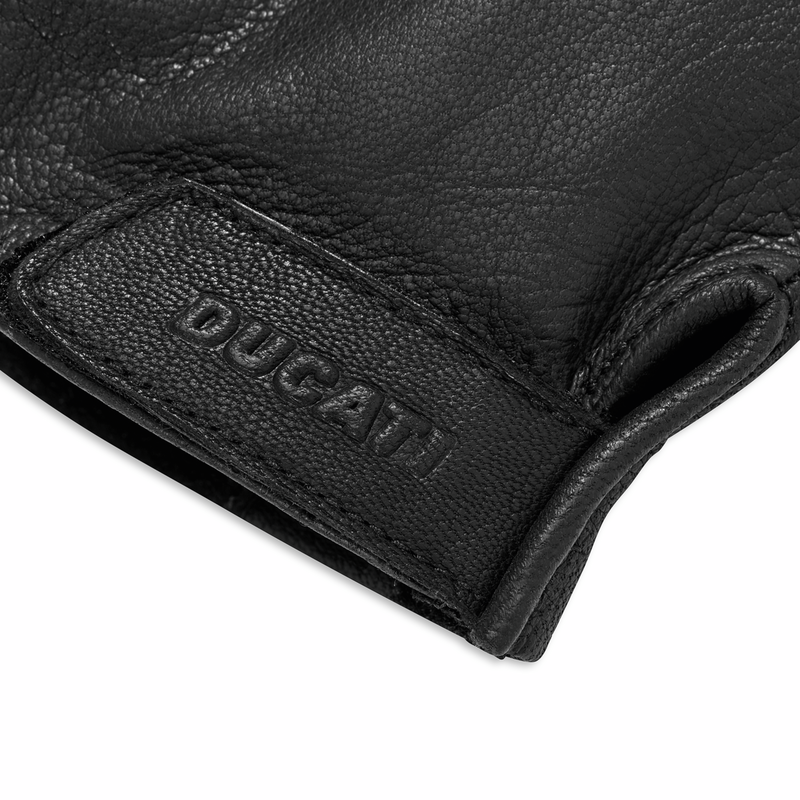 Unique Ducati personalizations that make these gloves an accessory boasting pure Italo-American style dedicated to the Contemporary Dandy.